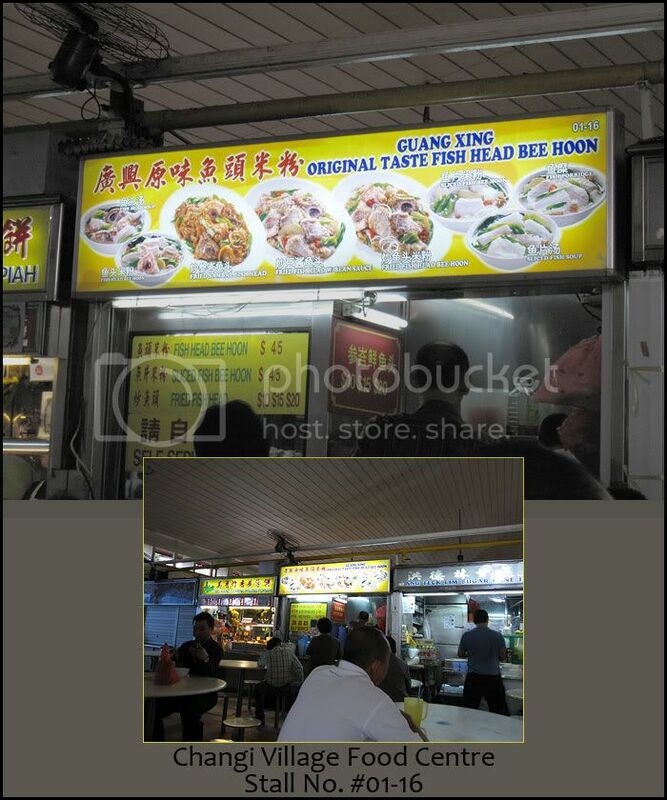 Guang Xing Fish Head Bee Hoon ... another crowd puller at Changi Village Food Centre. You never fails to be greeted with long queue at this stall especially during lunch hours. or their signature dish ... Sambal Fish Head with rice. Finish up the $10 serving of Sambal Fish Head all by myself ! The fish were fresh and sweet and the sambal was simply heavenly. eat it during the afternoon ... those sweat drops tricking down your forehead ...Spicy & Shiok ! 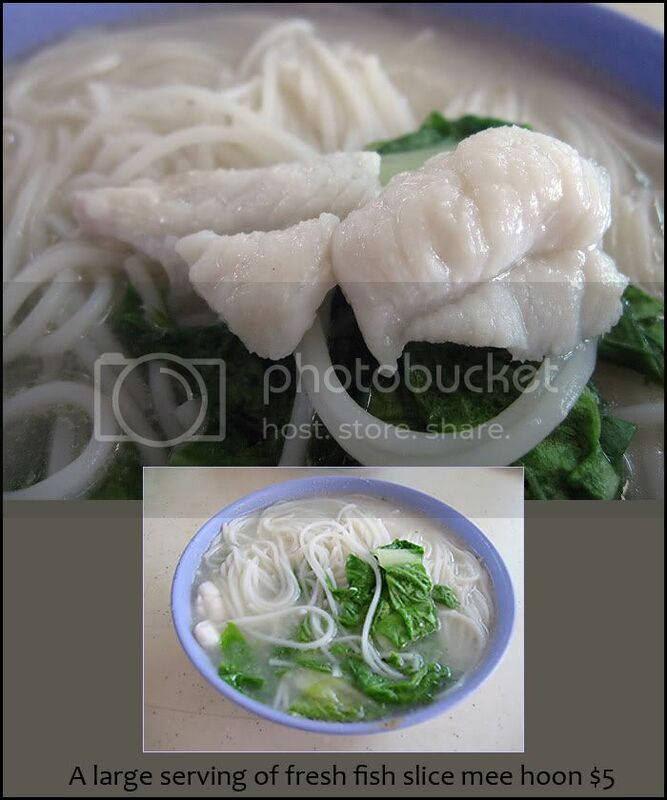 My favourite is still their bee hoon soup. A healthier choice and the fish they uses are always fresh. I love it when they add slices of bitter gourd to the soup. Give the soup a light tinge of cooling feel ... yet it doesn't taste bitter at all. 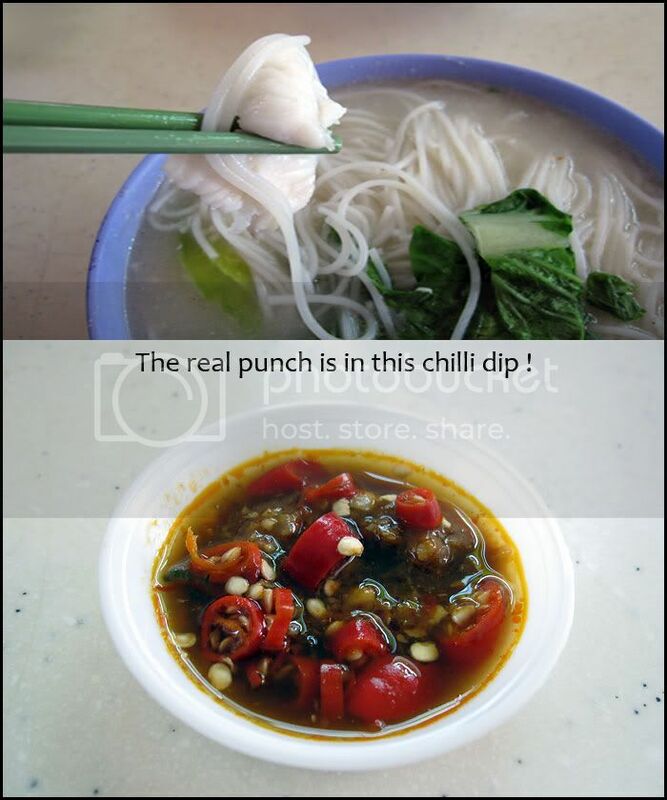 What makes it even more irresistible is the chiile dip which comes with the noodle soup. Besides the usual chilli padi and light soy-sauce, it comes with a small amount of their special sambal paste. Dip the fish slices in it ... yummy is the word ! 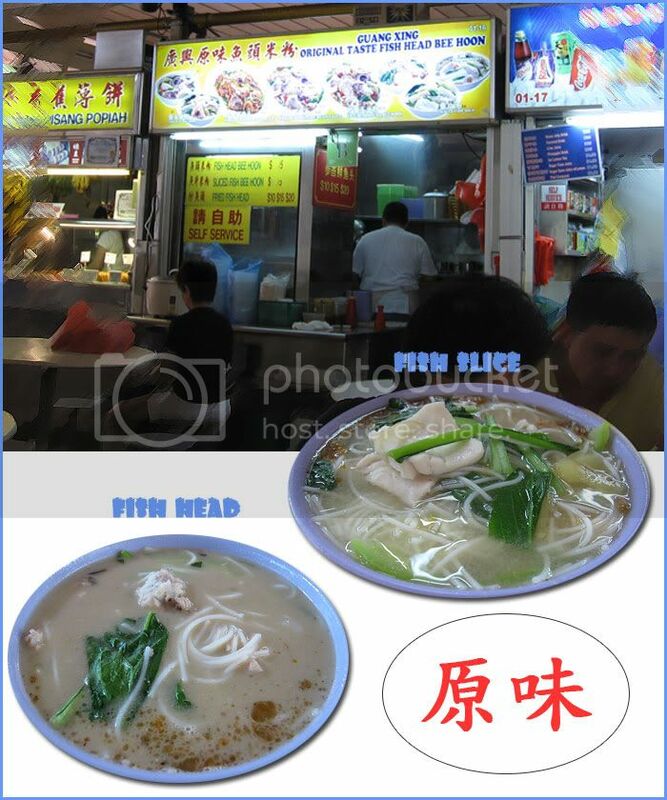 But it's same place same stall for a bowl of pipping hot fish head bee hoon soup.